Many birders I talk to seem to believe that a subspecies name refers to something that is well defined, but as we've seen this is not always the case. This belief seemingly is not limited to birders. Look at the 1957 AOU checklist and you'll see that the ranges of most subspecies are carefully described – usually with no indication that one subspecies intergrades into others; that in many areas there exist intermediates, birds unidentifiable to subspecies. For example, among all the subspecies of Savannah Sparrow listed as breeding north of Mexico, the notion of intergrading is not once mentioned! Conversely, the 1997 Pyle Guide often dismisses subspecies with phrases such as: differences are "clinal where most ranges meet." Yet it would be more surprising if differences weren't clinal where ranges met – that's sort-of implied by the concept of subspecies. Some field guides, notably the NGS guides, illustrate a bird and label it as subspecies X, which is not wrong, but what they may not (usually, do not) tell you is that other subspecies are, to all intents and purposes, identical in the field to subspecies X. This may mislead you to name a bird you see in the field as subspecies X because it looks most like the picture in the field guide of subspecies X. That's what we do with species, so why not with subspecies? The NGS guide introduction does not caution about this problem. Rather, we are led to believe that subspecies are discrete entities; and the new subspecies maps of the NGS 6th edition (with their neatly drawn solid lines) cement this fallacy. In a few cases, the NGS subspecies maps indicate an "intergrade zone" between subspecies, but the converse of this is the implication that all other subspecies boundaries are well-known and clean cut, which is far from the case. 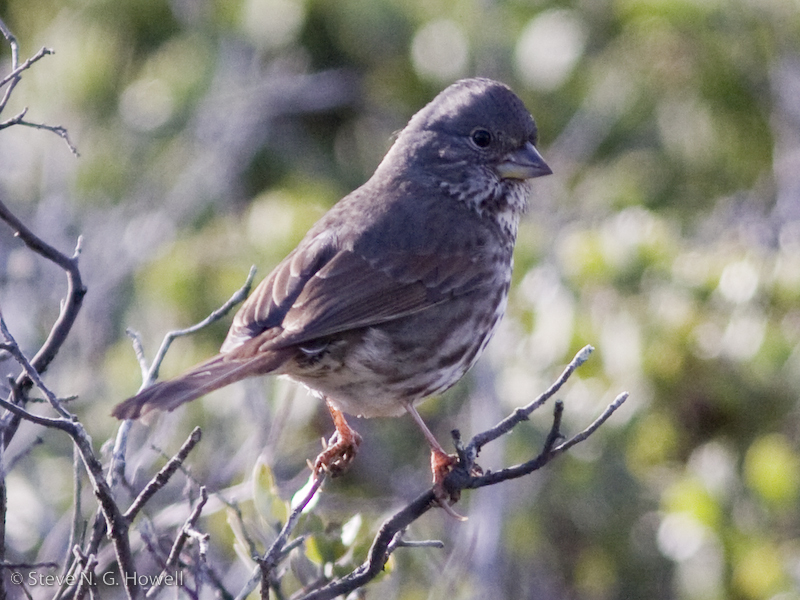 Clearly a Fox Sparrow – but which subspecies? Until we have a good idea of the characters of all subspecies within a species, trying to put a subspecies name on any individual is fraught with pitfalls. Marin County, California, 21 November 2011. © Steve N. G. Howell. Other field guides label birds by the geographic regions in which they breed. As a birder, are the labels West Taiga, East Taiga, and Interior West more meaningful to you than the scientific names gambelii, leucophrys, and oriantha? Geographic names need not be precise but at least they do convey immediate information that can be expanded upon with text or maps; we don't have to try to remember whether the subspecies oriantha breeds in the eastern taiga zone or in the interior West. This method cuts out one step in the process of information transfer, a step that may involve learning names in an alien language, names that sometimes we can't even pronounce and certainly don't remember how to spell. In this case I'm talking about White-crowned Sparrows. The Sibley Guide (2000) notes that populations of White-crowned Sparrow intergrade where their ranges meet, whereas the NGS Guide (2011) makes no mention of intergradation – subspecies such as gambelii are portrayed as discrete entities, which is misleading at best. I suspect many of us know birders who believe that subspecies names have sanctity, who worship at the church of geographic variation. But, as we've seen, most subspecies remain scientifically unevaluated, which might lead us to wonder if birders are sometimes worshipping false gods. Another Fox Sparrow – but which subspecies? Marin County, California, 3 February 2012. © Steve N. G. Howell. Subspecies and the Birder: What Do We Really Want? A question we might ask at this point is: are subspecies, in and of themselves, what we as birders and field ornithologists are really interested in? Might it not be more a case of wanting to appreciate and understand geographic variation? And what better way to do this than with subspecies? Yet as we have seen, while it may seem more precise, more scientific, to throw around subspecies names, instead this may be false precision, even hubris – at least until hundreds of described subspecies are evaluated critically. In addition there are surely subspecies out there that remain to be described. Witness the recent descriptions of Gunnison Sage Grouse, a new species not even previously recognized as a subspecies, and of the more controversial South Hills Crossbill (Benkman et al. 2009), a distinct population whatever its taxonomic status. Despite illusions we may have to the contrary, the details of breeding distribution and geographic variation are not that well known for many species of North American birds. Another Fox Sparrow – but again, which subspecies? Marin County, California, 3 October 2006. © Steve N. G. Howell. There are two main arenas of interest to birders when thinking of subspecies, linked perhaps to the common birding themes of listing and of finding rarities. The first is in appreciating distinct local variation, usually in resident species – perhaps because some of these isolated populations might one day be split as full species (think Florida Scrub Jay 20 years ago, or perhaps Gray-headed Chickadee 20 years hence). In this instance we know the subspecies, or at least we presume it fairly safely based on geographic range. Greater numbers of distinct subspecies tend to occur among more sedentary species, such as grouse and chickadees; gene flow is relatively limited if birds aren't highly mobile, encouraging local variations to develop. Conversely, mobile and migratory species such as warblers and flycatchers tend to have fewer subspecies. The second arena is in attempting to determine the provenance of vagrants, or even of regular migrants. In this second instance, we have to infer subspecies based on characters such as plumage tones, structure, perhaps voice, and anything else we can. This is where the fun – and the debate – comes in. 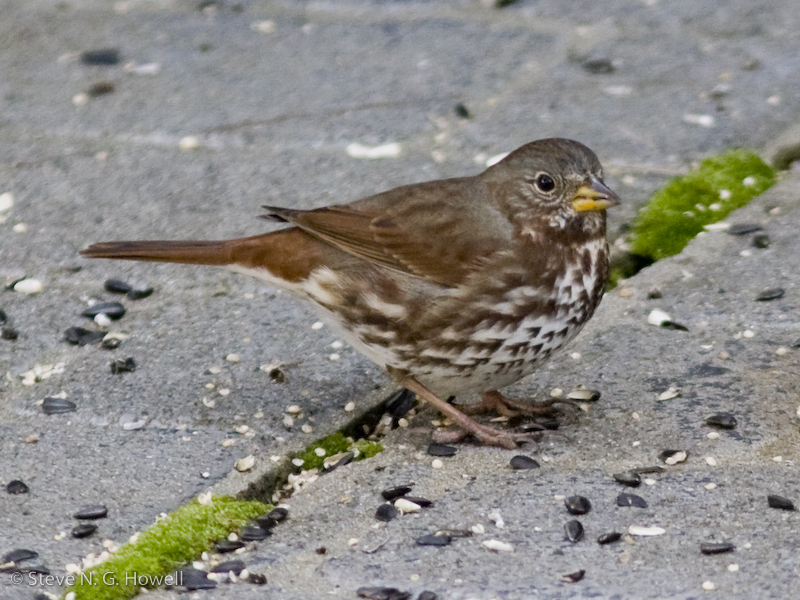 When a western type of Fox Sparrow turns up in New England the questions start: Which subspecies is it? Where did it come from? In this and so many other cases, does it really matter if we can't distinguish 75% of a population at the subspecies level? 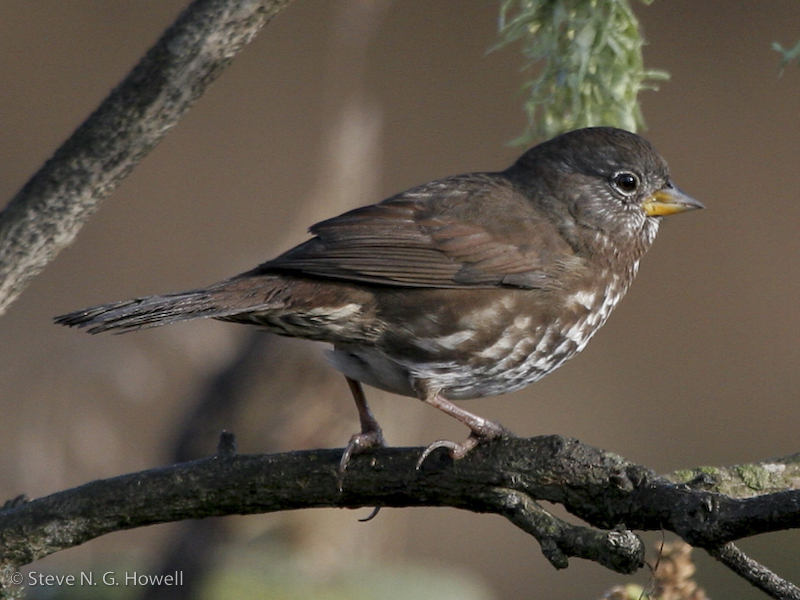 If that Fox Sparrow falls squarely into population X, or subspecies X, then we have an answer. Cool, and percentages are irrelevant. But if this is all we want, what can we do about it?